Have you booked yourself on one of our rides through New Zealand’s scenic South Island? 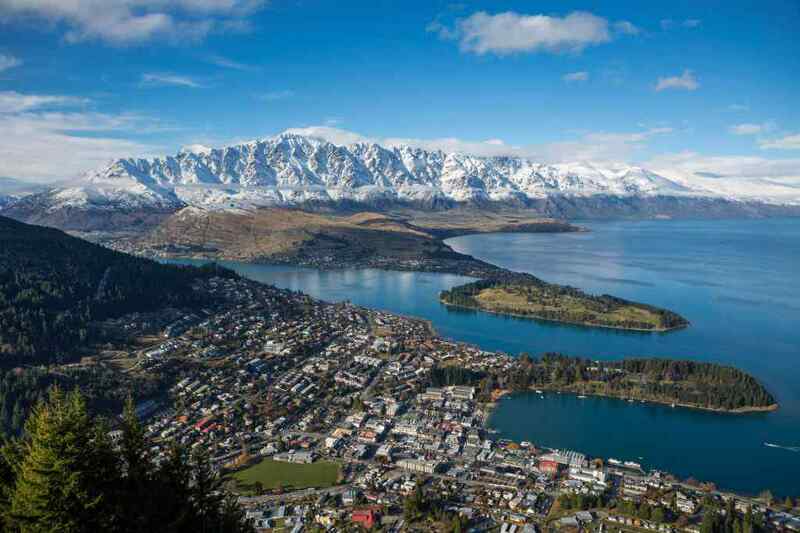 Whether you are heading out on the Musters Mountain Trail, Glenorchy Back Country Ride, Lake Hawea and Hunter River Ride, or the Twin Lakes Pack Trail, you will be flying in and out of Queenstown and most likely staying for one or two days in this amazing city. Surrounded by the Remarkables Mountain range and framed by the lazy inlets of Lake Wakatipu, Queenstown is a right show-off! There are so many things to see and do in this city, so to make your life a little easier we have done the research for you and listed our top picks to help you get the most enjoyment out of your time. And a holiday wouldn’t be complete without delicious food, so keep reading for the best places to eat while you’re there! Queenstown is a natural playground providing a perfect backdrop for a range of activities all year round. Known as the adventure capital of New Zealand (and quite possibly the world! ), the city is home to a huge range of adrenaline-pumping activities including jet boating, bungy jumping, white water rafting and skydiving. But don’t worry, if you’re looking for a slightly slower pace there’s plenty of hiking and biking trails, boat cruises, scenic flights and spa and wellness centres. Whatever your adventure palette, Queenstown can cater to your needs. 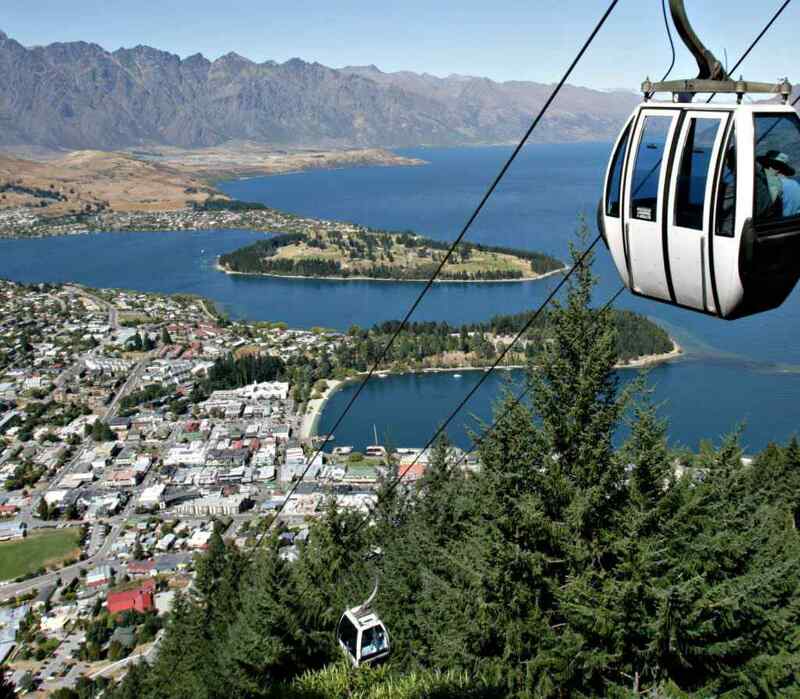 Located an easy five minute walk from the city centre, Skyline Queenstown offers awe-inspiring views of the region. Take the journey on the gondola up Bob’s Peak to enjoy award-winning food in the very scenic Stratosfare Restaurant & Bar. You can take in some traditional Maori culture performances of the Haka, and enjoy the thrilling downhill ride of the Skyline Luge. But before you head back down the hill, make sure you venture along one of the many walking tracks in the Ben Lomond Reserve, or just take in the show-stopping scenic views from the observation deck. No matter the season, you won’t be disappointed! Shaped like a cartoon lightning bolt, Lake Wakatipu is the third largest lake in New Zealand. This gorgeous lake has a 212km shoreline and an average depth of over 320m. The water is so clean, scientists have rated it as 99.9% pure! Believe it or not, you are better off dipping your glass in the lake than buying bottled water. Hire some bikes or take a leisurely stroll along the waterfront esplanade, or you could even hire some kayaks and venture out into the middle! But whatever you do, don’t fall in! It may look tempting to take a dip on a hot summer’s day, but the water hovers around just 10 degrees Celsius all year round and is enough to send you gasping to the surface. 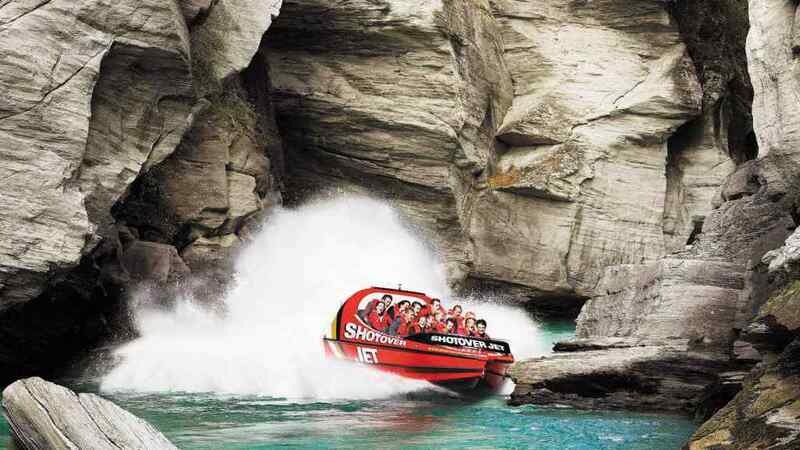 Home to the latest and greatest adventure activities, if you aren’t quite up to bungy jumping but want to feel the wind in your hair and a small adrenaline rush, you can’t go past jetboating in Queenstown. The scenery alone is spectacular, through dramatic and narrow canyons along the famous Shotover River. From the moment the accelerator hits the floor, your adrenaline hits the roof. Travelling at speeds up to 85km/h, your expert driver will whip past rocky outcrops, skim around crags and boulders, and speed through the canyons, sometimes on just 10cm deep water! Still not convinced? The Duke and Duchess of Cambridge joined in the fun with Shotover Jet on their trip to New Zealand in 2014! If you have a little bit left in your budget and perhaps an extra day up your sleeve, you can’t go past a day trip to Milford Sound, undoubtedly one of the world’s most spectacular natural phenomena. Starting at $119, you will travel past snowy mountaintops and along glacier valleys, stopping at every turn to take photos of the postcard-perfect scenery. Don’t miss seeing the reflections at Mirror Lakes and walking over footbridges above gushing waterfalls at The Chasm…and you haven’t even arrived at your destination yet! When you do make it to Milford Sound, you will join the crew of Southern Discoveries for a 1 and ¾ hour scenic cruise, taking in truly breathtaking scenery including waterfalls, rainforest and if you’re lucky, dolphins playing in the wake of the boats. 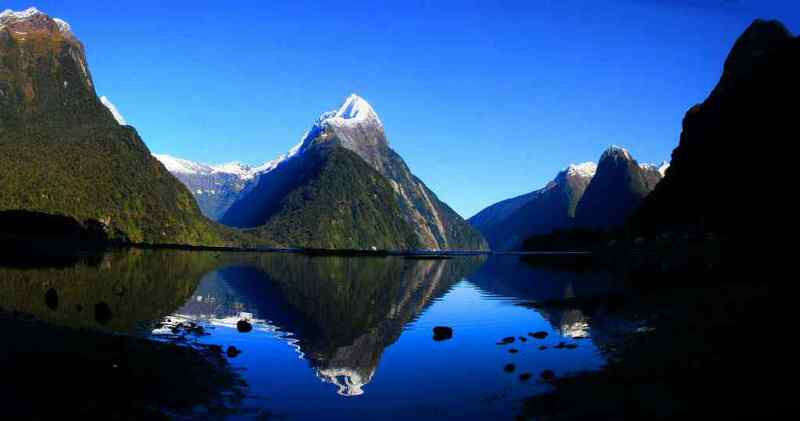 Anyone who has been lucky enough to venture to Milford Sound comes back raving about this magnificent place. If you wander through Queenstown’s city centre you will be inundated with cafes and restaurants to choose from. Here are some of our favourites. Open daily from 8am, this is the perfect place to start your day with breakfast, enjoy a coffee taking in the views, or even a leisurely lunch. 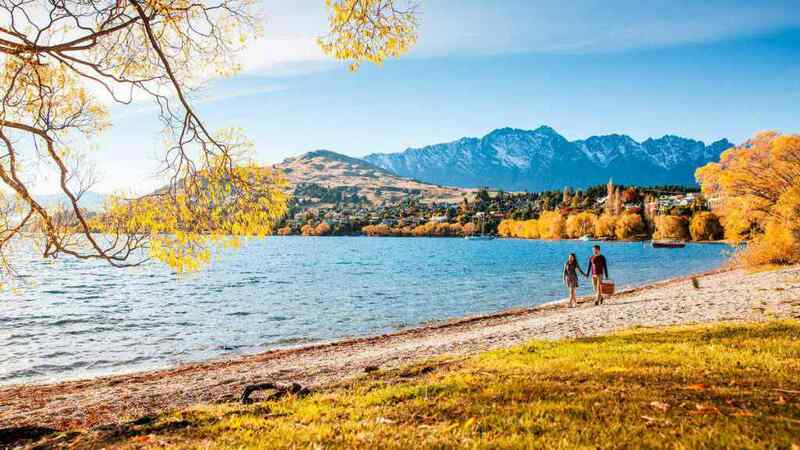 With waterfront views of Lake Wakatipu and the Remarkables mountain range as a backdrop, it’s the perfect pit stop if you’re walking or cycling the lakeside trail. Starting in 2001 as a ‘hole-in-the-wall’ burger joint, Fergburger has now become a tourist attraction in itself, forcing many locals to look elsewhere for their big-as-your-head gourmet burger fix. Priced anywhere between $11-$19, the burgers are as tasty and satisfying as ever. But be warned, get there early because this place is so popular a 30min wait time is common during peak times. For the sweet tooth’s among us, Fergburger’s sweeter sister bakes all manner of tempting treats. Goodies include meat pies, Danish pastries, banoffee tarts and more. And if you’re after mind-blowing gelato, stop in at Mrs Ferg’s next door! Did you know nowhere in New Zealand is more than 125km from an ocean plentiful of seafood? So if you are after some delicious sea critters, look no further than Fishbone who source some of the best NZ seafood in the region. The food is excellent and don’t miss some of the favourites including Sri Lankan fish curry, grilled octopus and prawns in XO sauce. Since Queenstown is one of New Zealand’s most visited places, accommodation options abound. But we like Peppers Beacon for its unrivalled views of the famous Remarkable Mountains. Just 10 minutes from the airport, Peppers Beacon is the perfect place to explore the adventure capital of New Zealand. Queenstown resorts don’t get much better than this. Image credits: Hydro Attack, Must Do NZ, New Zealand, Ngai Tahu Tourism & Spinnaker Bay.